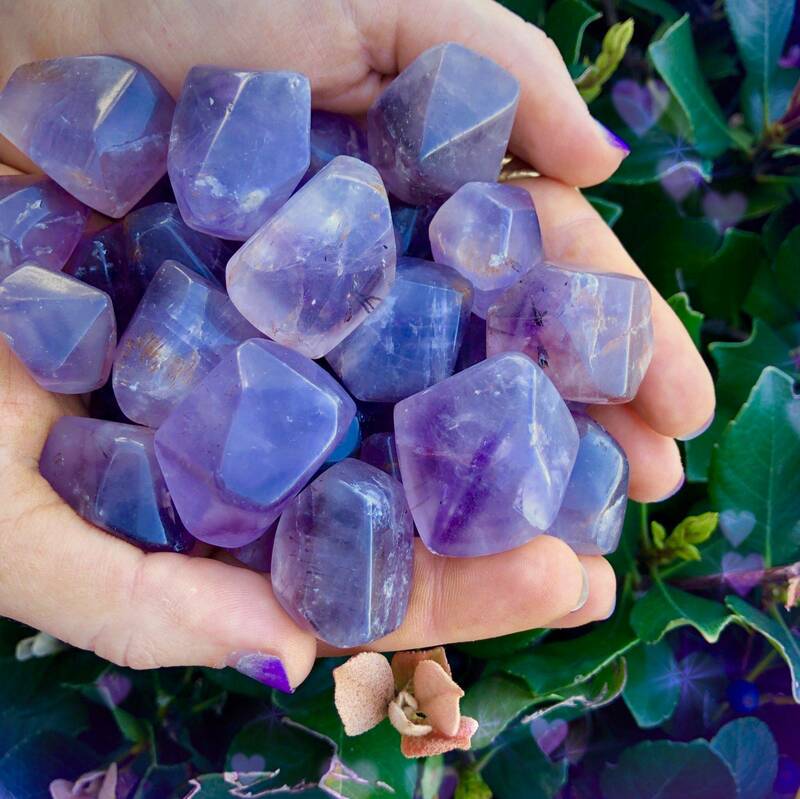 If you can imagine the entire cosmos holding you, reassuring you that all is well, then you can imagine and grasp the medicine of this tumbled elestial amethyst. This tumbled elestial amethyst is absolutely beautiful, and each piece holds such promise, with rainbows flashing brilliantly from its every surface. Each also has the ability to attune you to the vibration required to communicate with higher beings and dimensions. 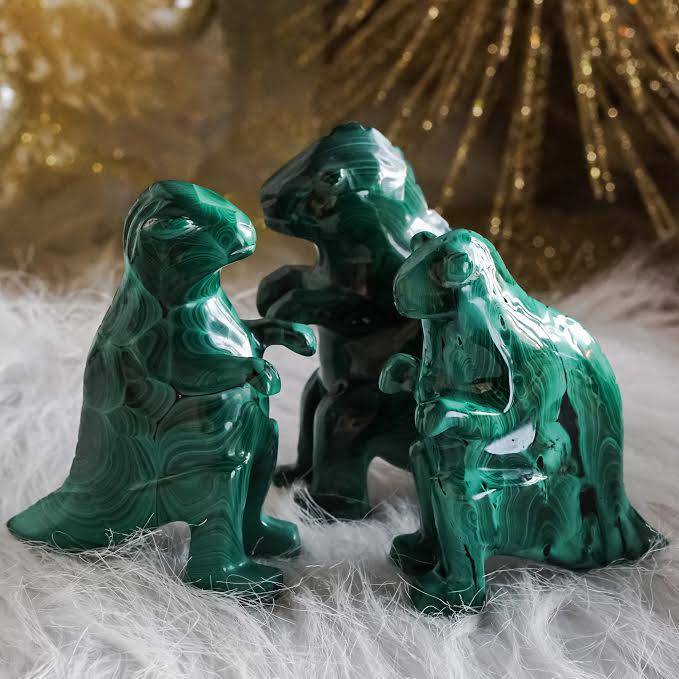 These magnificent pieces make such beautiful additions to any gem collection and are potent symbolic reminders of nature’s endless bounty and beauty. 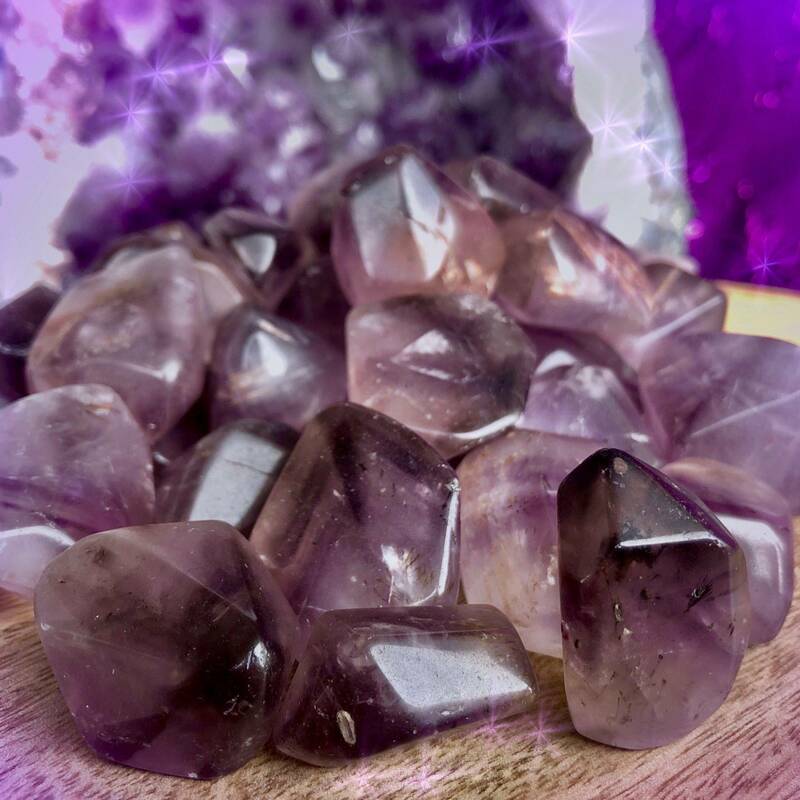 Amethyst allows you to open yourself to receiving your own inherent wisdom, helping you to see and discern the root causes of an issue without judgment. Its sweet yet powerful and protective energy encourages you to come from a higher space of response, rather than an emotionally charged one. In fact, the Greek root of the word “amethyst” means “not intoxicated” – and that clear, sober feeling is exactly what this stone brings forth. 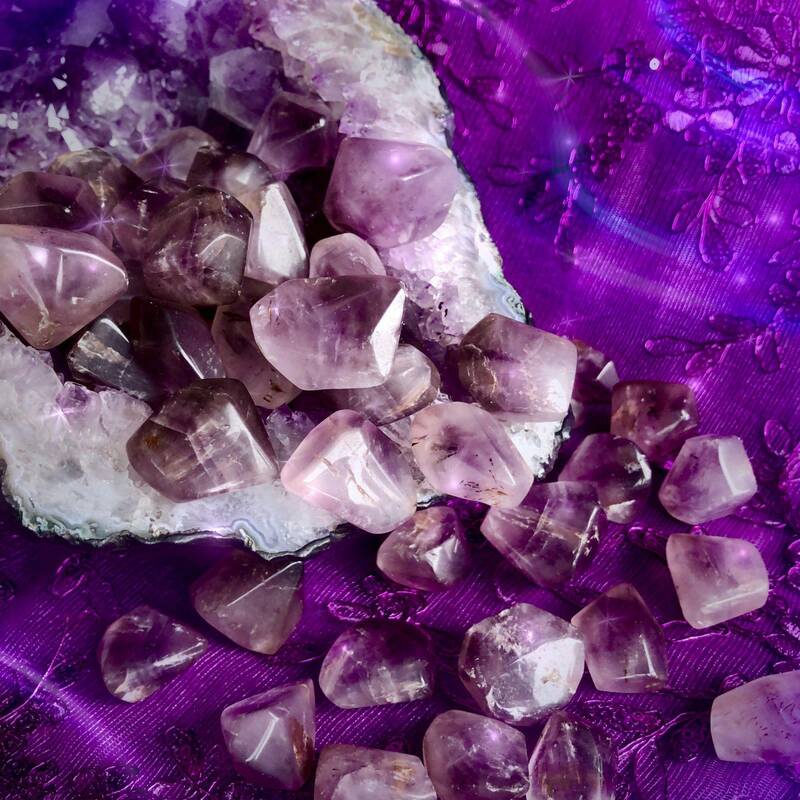 Amethyst is the stone of divine clearing – the gem bearer of self-control, wisdom, and discernment. It corresponds to the Crown Chakra, enabling divination and linking us to wise Spirit energy. Amethyst brings energies of peace, healing, and calm. 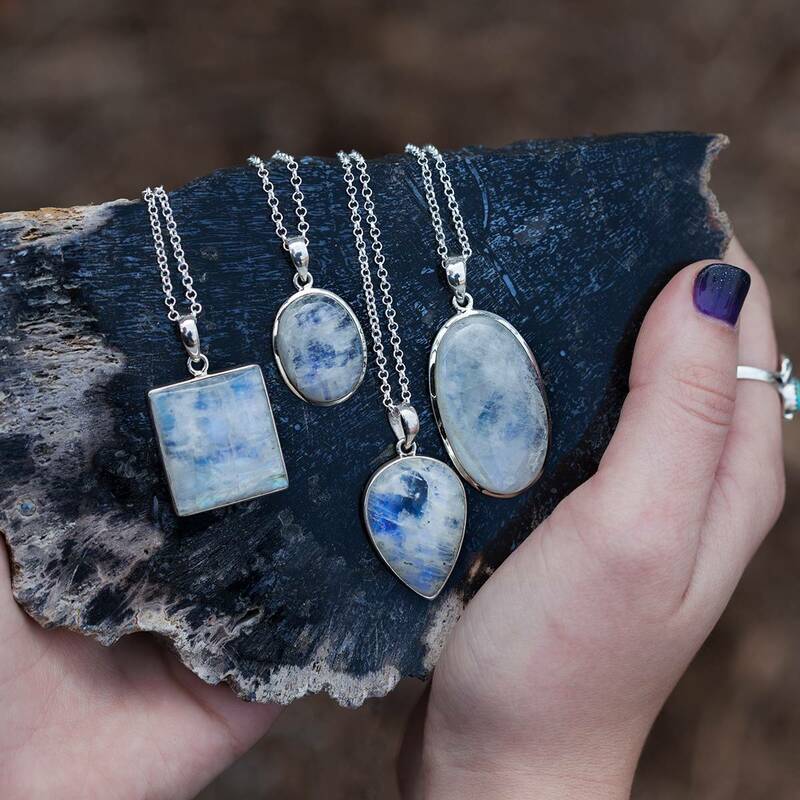 If you desire clarity, psychic visions, restful sleep, and vivid dreams, these are for you. 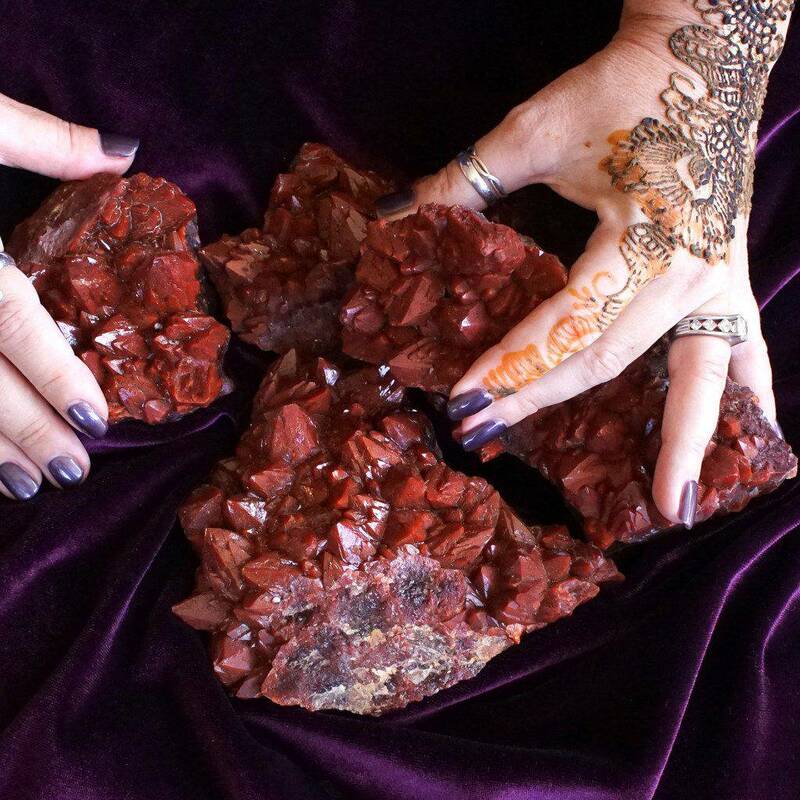 Elestial amethyst is an extremely high vibrational stone that helps you attune to the vibration of higher realms and the beings there. Work with elestial quartz when a change or shift is needed in your life, and when seeking a stronger connection to Spirit and the angelic realm. This listing is for one (1) tumbled elestial amethyst (about 1-1.5”). Yours will arrive lovingly parceled along with a single leaf of white sage and a card describing the properties of the stone.